A professional, FDA cleared anti-aging medical device that provides immediate, improvements with long lasting results. 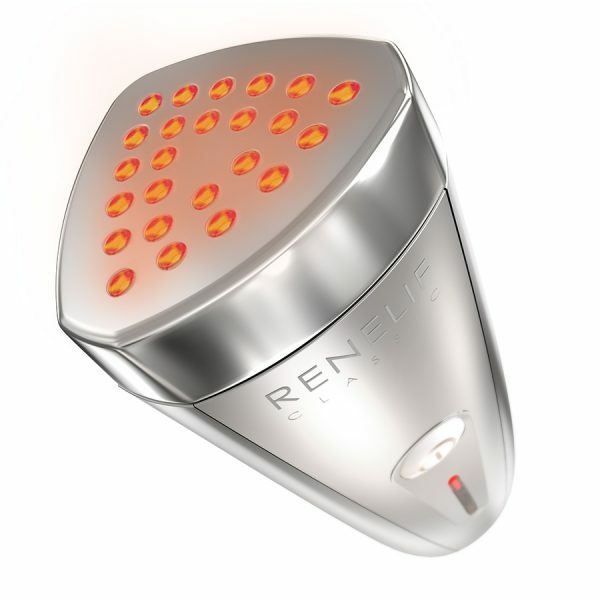 Renelif Classic is clinically tested, and recommended by dermatologists as an anti-aging medical device. It may be used virtually on any area of the facial skin, such as crow’s feet, under the eyes, cheeks etc. This unique technology perfectly combines dermal heat energy and light energy to safely reach and treat multiple skin layers. See immediate improvements with long lasting results. This clinically tested and dermatologist recommended anti-aging device may be used virtually on any area of the facial skin, such as crow’s feet, under the eyes, cheeks etc. Renelif is designed as a facial treatment, but it can also be used on the neck area. Skin around the eyes can be treated with the Renelif and no safety goggles are required during treatment thanks to a unique feature with-in the Renelif allowing it to operate and emit energy only when in contact with the skin. After cleansing and drying your skin, you may use the Renelif directly on the skin or you may apply a dedicated approved serum for use with the Renelif. Apply the serum onto the entire face. Clean your skin with the help of a milk cleanser and skin toner. Gently glide the Renelif with the metal part along your face, the led light will automatically turn on upon contact with your skin and the temperature will slowly increase. Apply light, gentle pressure while slowly moving the Renelif in circular movements along your skin. Activate your warranty by registering your product within 10 days of purchase. Renelif Classic includes 2 years limited warranty. I have always wanted to brighten up my complexion without having to use the harmful chemicals found in bleaching. I did some research and came across this device online. Luckily, up to that point, I had saved up enough cash to afford it. A few months down the line, my skin complexion is lighter and the blemishes have disappeared. If you are wondering whether this device actually works, the answer is a resounding ‘Yes!’ I have been using it for a few months now and my skin looks far much better than I imagined it would when I bought this device. I am 67 years old and have suffered through wrinkles and saggy skin for a few years now. Wrinkles and saggy skin are not pretty to look at. One of my nieces noticed how much I was suffering and introduced me to the Avologi Classic. This product works as advertised. It has gotten rid of all the faults in my skin and I look 20 years younger. I no longer have to worry about wrinkles anymore. You can get recommendations from friends and colleagues or even read all the reviews you want but nothing beats experiencing the Renelif Classic in real life. The first time I experienced it I was at an Avologi store and the feeling was like nothing I’ve felt before. I saved some cash and bought it later afterwards and so far I have no regrets. It is a magnificent skin care device. The Renelif anti-aging device has restored my skin to the state it was 10 years ago. Nowadays, I don’t dread leaving the house due to bad skin condition. This device has fixed my skin tone, my complexion is not only brighter but also even. I love using the Renelif Classic because I can use it on any part of my body, whether it is my face, neck or even chest. It helps rejuvenate my skin and keeps it from aging and fatigue. A few weeks with device and I’ve already kissed goodbye wrinkles, saggy skin and the black lines under my eyes. I could not be happier. Thanks Renelif, you are a life saver. For me, there are a few feelings that compare to the warm, massaging sensation you get when using the Renelif Classic. After a long day’s work, the only thing I can think of is watching my favorite show while I treat my skin. This anti-aging device has saved me a lot of time and money that I would have used in spas and skin treatment centers. I bought my sister the Renelif Classic as a birthday gift and she loved it. She can’t stop raving about it and how her skin has improved ever since she started using it. My sister turned 32 this year and according to her, this Renelif device ranks as the best she’s ever gotten. My skin has greatly improved since I started using the Renelif device over half a year ago. Since I was a kid, swimming was my passion, I was in the swimming team at every level of school I attended and my parents used to take me for swimming every weekend. Due to over exposure to the sun, my skin became dark to a point I could barely recognize myself. But six months down the line, my skin tone looks exactly how it did when I was two years old. I’ve bought many devices this year but the top two are easily my juice blender and this Renelif Classic anti-aging device. Ever since my shift to a healthier living, I have seen a great improvement in my health and skin appearance. 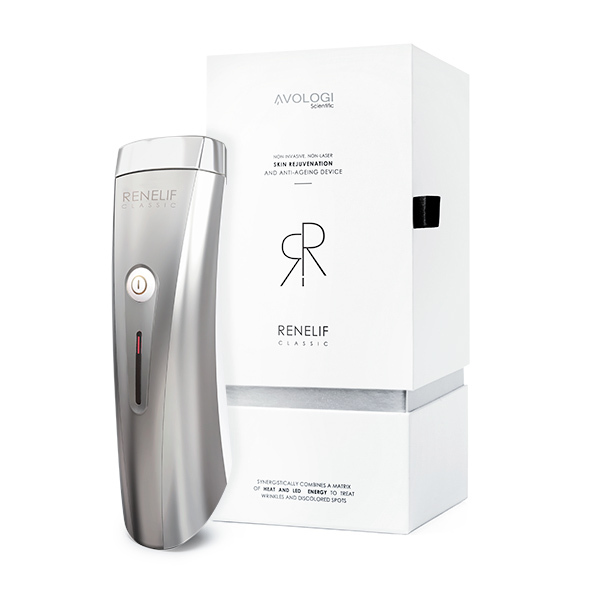 If you looking to completely change your skin appearance for the better, I recommend you purchase this Renelif device. I use this device every other day and the results on my skin have been monumental. Kudos Renelif and the Avologi family. I am an event planner and I spend a lot of time outdoors compared to a regular office worker. I don’t have to be outside but I am a perfectionist so I like to supervise my crew to ensure my clients get maximum value for their money. I love my job and being outdoors when others are slaving indoors is great but the harsh outside environment have given my skin a beating over the years. Luckily, one of the event hosts introduced me to the Renelif Classic device and after using the device for the last three months, my skin has benefitted greatly. Not only has my skin lightened up but is now tighter and looks how it looked before I took up this job. I have hyper sensitive skin and it requires specialized treatment. For most people, anything goes when it comes to skin treatments. 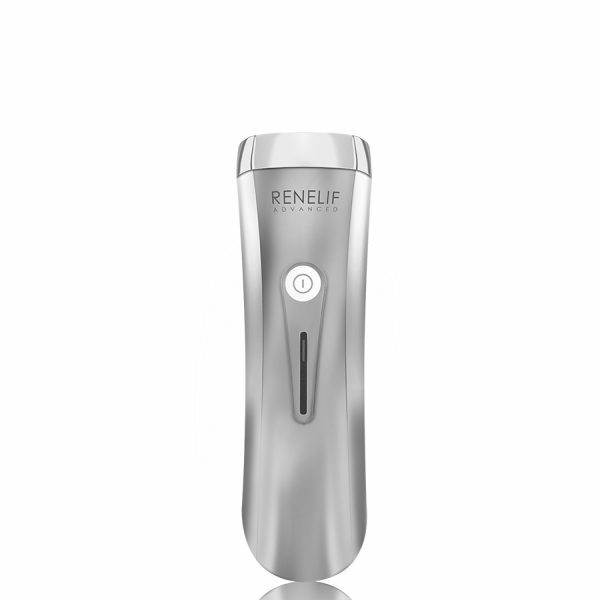 My skin reacts badly to most skin care treatments until I bought the Renelif device. With this device, I no longer have to worry about my skin reacting badly with other skin care treatments. How good is the Renelif device? I once caught my husband using it to relax. In my typical husband’s fashion, he denied using it until I caught him a few times again after that incident. But, after I explained that I don’t have a problem with him using it, he opened up to me and told me that he uses it for the great sensation it provides on his skin. He says it helps him relax and take his mind off stressful things. I have personally not used this product but a friend of mine recommended it to me. Not to brag, but I’ve always had better skin than her but recently she’s taken that crown away from me. Apparently, she’s been using this device for the past two months. I’m currently saving up to purchase it. I am a 40-year old and my skin has aged considerably well for my age. However, before the Renelif device, I had to put a lot of effort in maintaining it. I like how it is gentle treating the sensitive areas on my skin. 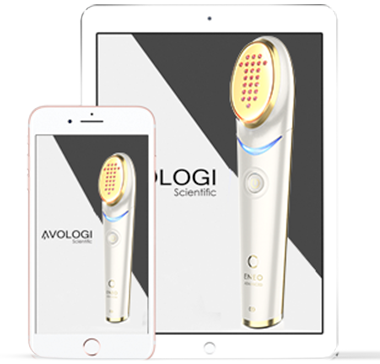 Thank you Avologi for making the Renelif device a dream come true for me. This device has helped me build my confidence. It has gotten rid of all the blemishes on my face and neck. My husband bought me this Renelif Classic device as our 30th year anniversary. I am an old school girl and I like my lifestyle. I am not into trying out new things and technologies but this Renelif device has been a game changer for me. At 55 years old, the Renelif anti-aging device has become my favorite device. My! Oh! My!has this device been a revelation. I only started using it a month ago but the freckles on my skin have disappeared completely. Thanks Renelif. I give the Renelif Classic device a 5 star out of 5 without batting an eye. I must admit that when I bought it, I had my reservations about it but after using it for a little over 3 months, my skin has improved 10 fold. The wrinkles, black spots and dead skin that had plagued my skin are now gone. I look 10 years younger and feel 20 years younger thanks to this anti-aging device from Avologi. I love my skin so much, and that’s why I can spend anything to make my skin stay healthier. It’s out of this love that I kept looking for new skin care technology, and I’m glad that I met avologi Renelif Classic. This product offers amazing results and I, find it worth every cent I spent on it. My skin now stays vibrant and bright and I, only use this device thrice a week. Renelif classic is the first product on the list of my arsenals. I used several skin care products before and none is comparable to renelif classic. The saggy skin under my eyes is no more. I now have a younger looking and tighter skin. I had a beautiful looking skin during my youth but wait until I kicked 40, my skin started developing wrinkles and fine lines which made me look 50. I was forced to start booking spa appointments, but this later became a burden because of tight work schedule. My friend told me about renelif classic, and so I decided to go for it. After two months of use, I couldn’t see any need to book these costly appointments anymore. My job requires me to travel every two or three weeks and the travels take a toll on my skin. Maybe it’s the combination of the change of climate and the excessive jetlag but my skin has deteriorated from all the touring. Luckily, my colleague recommended the Renelif Classic and since I bought it a few months ago, my skin has never looked better. My daughter is undergoing puberty and the area around her forehead is the most affected. Pimples are forming across her forehead and making her really self-conscious. After trying many skin creams and treatments, I can say that the Renelif device has been the most effective. I am always skeptical when it comes to new skin care technology. That’s why I didn’t buy Avologi - Renelif Classic immediately my daughter told me about it. I really regret why I didn’t buy it then. From the time I bought and started using this product, my skin have improved so much. My husband tells me that I look ten years younger. What’s more? It is also very easy for me to use it. I am normally not one to write online reviews but I make an exception of this Renelif Classic device. I am ecstatic because it has eliminated all the blemishes from my skin. The wrinkle lines and large pores have disappeared all thanks to this device. If you’re looking for a product that provides quick results, Renelif Classic is your best bet. I started using this device just four months ago and my workmates are now amazed with the results. All of them knew that I had tried many products over the recent years trying to correct my skin which was deteriorating each and every day but I had achieved nothing. But after using this product in such a short time, my skin is now rejuvenated with no more wrinkles. Excellent results! Renelif classic is as efficient as it looks. If you want to have a younger looking skin, this is the device to go for. I love it! No one can tell how amazing Renelif Classic can be before using it. I bought the product online one and a half month ago and I can’t regret it. My skin is now softer and tighter!